Allow adults 21 years of age and older to possess and privately consume up to an ounce of marijuana. Public consumption of marijuana would still be illegal. Establish a 15 percent tax on retail marijuana sales to be allocated to regulation, education and public health. Create a system in which licensed businesses can produce and sell marijuana. Establish a Department of Marijuana Licenses and Control to regulate testing, cultivation, manufacturing, transportation and sale of marijuana. Provide local governments with the authority to regulate marijuana businesses. The Washington, D.C.-based Marijuana Policy Project filed a ballot initiative Friday that would legalize recreational use of marijuana and regulate and tax the drug like alcohol. “I believe that the Arizona voters recognize that it’s time to try something different than prohibition,” said Ryan Hurley, an attorney for the Campaign to Regulate Marijuana Like Alcohol, a political committee backed by the Marijuana Policy Project that is behind the initiative. According to a draft of the initiative provided by the Marijuana Policy Project, the Regulation and Taxation of Marijuana Act would allow those 21 and older to carry up to one ounce of marijuana for private use. It would also establish a Department of Marijuana Licenses and Control to regulate and tax marijuana sales. After filing the application, marijuana policy activists will have until June 2016 to collect 150,642 signatures, 10 percent of all votes cast for governor at the last election. Hurley said marijuana policy activists expect the tax on retail marijuana sales, which would be set at 15 percent, to bring in anywhere between $60 and $100 million in tax revenue each year. He said the money will go toward regulation of marijuana sales. Any extra revenue will go to the Department of Education to fund all-day kindergarten programs and to the Department of Health Services for public health efforts, he added. “It’s time to treat this like alcohol, and it’s time to tax and regulate and legalize it,” Hurley said. Mikel Weisser, political director for Safer Arizona, a group that works with the Marijuana Policy Project, said the legalization of marijuana would give people safer access to the drug. Weisser said it’s more than an economic issue; it’s about social justice. He said thousands of lives are ruined every year nationwide by marijuana arrests. 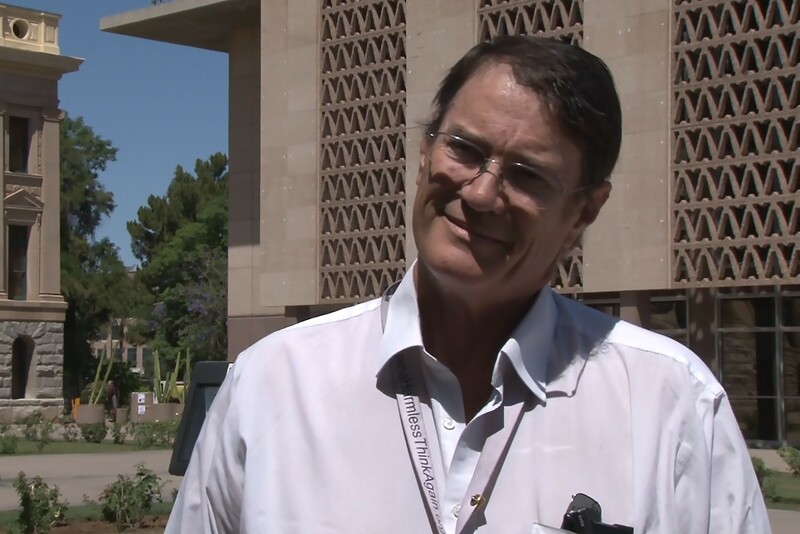 Seth Leibsohn, chairman of Arizonans for Responsible Drug Policy, a political committee that opposes legalizing marijuana, said the costs would outweigh any benefits. “We’re pretty full up with problems when it comes to what’s already legal,” he said. Leibsohn said the tax revenue would have to go toward addressing the health problems marijuana’s legalization would cause. He said many people disregard the dangers because they don’t realize marijuana is stronger than it was 15 years ago. “When they talk about its harmlessness, they are literally talking about something that doesn’t exist anymore,” he said. He said regulating marijuana like alcohol is doomed to fail, adding that his organization will launch a public awareness campaign about the dangers of legalizing the drug. The Marijuana Policy Project submitted petitions for a statewide ballot initiative that would regulate marijuana like alcohol. Activists have been working toward this initiative for months and say it would improve Arizona's future. Mikel Weisser, executive director for Safer Arizona, says his group is pressing for a law legalizing recreational use of marijuana because it would provide safer, regulated access to a drug that’s already being used by many.